A relatively unexciting 2014 left LSU fans anxious for the 2015 campaign. The Tigers had stumbled since their National Championship berth in 2011 by typical standards, including an 8-5 mark in '14. The Tigers opened up impressively, with early victories against Mississippi State, Auburn and then a dominant showing against eighth-ranked Florida. However, for the fourth straight season, LSU couldn't top rival Alabama as Heisman-frontrunner tailback Leonard Fournette struggled mightily against the Tide's vaunted front seven. Late losses to Arkansas and Ole Miss left LSU at 7-3 entering their season finale (one game cancelled). Rumors of head coach Les Miles' long tenure drawing to a close leaked out but the Tigers responded by punishing Texas A&M and Texas Tech in their final two games, prompting LSU to retain their longtime head man. Now, Miles is back for 2016, but the Tigers have insane pressure on them. Anything short of an SEC West crown may very well spell the end of the Miles era and a rebuilding of sorts. Well that may be true, the talent LSU retains is special and very well could produce the best team in Baton Rouge since that '11 squad. Backfield: Since Zach Mettenberger graduated in 2013, the Tigers have struggled mightily at quarterback. The quarterback spot has never been super important in Miles' pound-the-ball scheme, but their poor '14 numbers were beyond bad. Neither Anthony Jennings nor true freshman Brandon Harris were very good and the pair entered last season in a quarterback competition. Harris is more talented and seized the job and slowly improved. He still had some ups-and-downs, but his ending numbers of 2,165 yards and 13 touchdowns were better. Harris now enters his junior season as the X-Factor of the entire LSU team. He has shown he can move the ball, like his strong showing against the great Florida secondary a season ago. He has plenty of talent surrounding him and a great coaching staff; he just needs to put it all together. 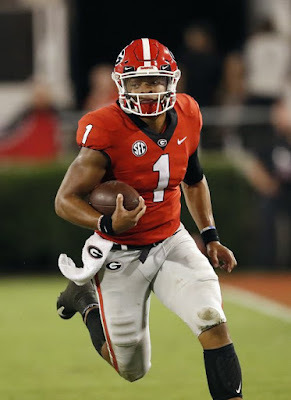 The QB position must be improved this season and with his seat hot, Miles could turn to someone else quickly if things don't go as planned. Purdue transfer Danny Etling has moved into a backup role as Jennings transferred. Etling had 12 starts at Purdue and while he struggled often, he did show he could move the ball. The good news for LSU is that their running back position may be among the strongest in the nation, a common occurrence in Baton Rouge. 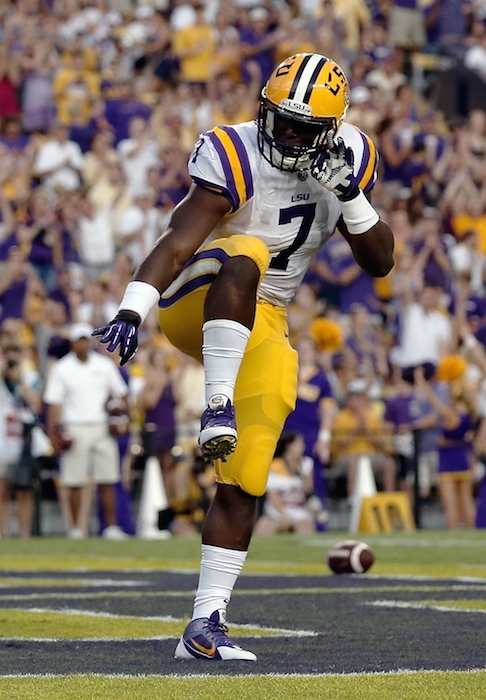 Before that Alabama game, Leonard Fournette was running away with the Heisman, as he had dominated everyone to that point. Fournette wasn't bad to end the year, but he still slipped well out of first place. Fournette still finished with 1,953 yards and 22 touchdowns, and it is even more impressive considering he was just a true sophomore. Fournette has been so dominant some have suggested he should sit out the 2016 campaign to stay healthy for the 2017 NFL Draft. Fournette has no intentions to do that, and that means the rest of the SEC will spend the year trying to tackle the bulldozing back. Fournette is supported by sophomore Derrius Grice, an athletic change of pace for the insanely powerful Fournette. Grice added 436 yards last season, while averaging a whopping 8.5 yards per carry. Teams will struggle to contain the 1-2 punch of Fournette and Grice, and the Tigers should rack up rushing yards. Junior Darrel Williams is also back to give them more help and defenses more problems. Williams had 296 yards and four touchdowns last year and while he isn't quite as explosive as Grice he can still pick up big chunks of yardage on any given rush. Fullback should be a strength, with junior John David Moore and sophomore Bry'Kiethon Mouton both back. Receivers: For a school not known for being a pass-happy team, LSU has produced some quality NFL talent over the past few years. Dwayne Bowe, Odell Beckham and Jarvis Landry have shown big-time threats can grow and show their stuff in Baton Rouge. The talent is there for this receivers group to do much the same, as it may be the best group since Beckham and Landry a few years back. Senior Travin Dural leads the way as the team's most reliable pass option. Dural isn't blending fast or insanely athletic but he is a good route runner then does the little things well. He is also incredibly sure-handed, which has been key in an offense that needs all the passing yards it can get. 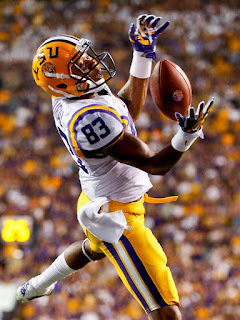 Dural had 28 receptions, 533 yards and three touchdowns, finishing off second on the team. The team's leader was junior Malachi Dupre, a superb talent. Dupre put up 43 catches, 698 yards and six touchdowns last season despite the shaky quarterback play. He is very explosive, and can become a dangerous deep threat. Harris does have a big arm, but LSU really hasn't tested defenses deep enough over the past two years. With Dupre returning, they very well could try to take the top off of defenses and open things up for Fournette underneath. Sophomore Tyron Johnson has the chance to have a big year beyond those two. He had 150 receiving yards last season as a true freshman, and showed he could do serious damage in open space. With defenses focusing heavily on Dural and especially Dupre, Johnson could quietly put up some big numbers. Youngsters will likely have to see some action without a ton of depth in the unit. Drake Davis and Stephen Sullivan are two great talents that could make plays in their first season with the team. 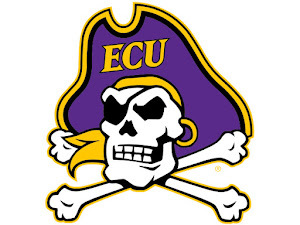 Davis in particular, as he comes from Bradenton, Florida as a highly-sought-after four-star prospect. Tight end should fall to sure hands in senior Colin Jeter. Jeter proved he could be could be pretty reliable, adding 12 catches for 132 yards. Jeter should look to see some more opportunities, and perhaps become a dangerous weapon in the play action game, which LSU will rely heavily on. Senior DaeSean Smith will also give the Tigers another weapon to work with in the passing game, and the veteran is also a proven run blocker. Offensive Line: Producing some quality offensive linemen is an important trait for SEC contenders, and LSU has produced some great talent over the years. They should once more be very good along their O-Line in 2016, thanks in large part to senior Ethan Pocic. The versatile veteran was Second-Team All-SEC last season, but could be even better this season. Pocic can play the guard position or center, where he will most likely see the bulk of his snaps this year. Pocic will be joined by a group of youngsters, but a group that has wonderful talent. Sophomore Maea Teuhema could take big strides this season after seeing decent action in his first season. Teuhema had 11 starts at guard last season, but like Pocic, he may be asked to play several different roles. LSU is very thin at both tackle spots, especially on the left side, so Teuhema could move around quite a bit. Sophomore William Clapp is the other returnee with decent experience. Clapp is a proven run blocker who made 11 starts at right guard last season, where he will most likely stay. Those three give the offensive line plenty of bite, and the talent beyond them could grow up quick. Senior Josh Boutte has been around for awhile, but hasn't seen the playing time needed to produce. With Teuhema likely moving to the outside, Boutte could grab a starting guard spot opposite of Clapp. Sophomore Garrett Brumfield will also fight for the starting job at a guard slot. The tackle position is definitely weak, but does have plenty of upside. Junior K.J. Malone, sophomore Toby Weathersby and freshman Willie Allen are going to be fighting for playing time. Allen is a highly touted prospect who the Tigers believe could be their next big thing on the O-Line. Defensive Line: Following South Carolina's hiring of Will Muschamp as head coach, LSU defensive coordinator Kevin Steele opted to take Muschamp's old position as DC at Auburn. LSU responded by landing one of the best up-and-comers in the game in Wisconsin DC Dave Arranda. Arranda runs an aggressive scheme with plenty of variety, and he will rely heavily on his defensive line to produce. The good news is that the D-Line has a ton of talent returning, and could prove to be a significant strength for the Tigers. Defensive end Christian LaCouture was flirting with the NFL, but opted to remain for his senior season. LaCouture has always shown serious upside, but he hasn't always produced. He had 35 tackles and one sack in 2015, numbers that could shoot up, as he bulked up this offseason and could capitalize on his vast potential. LaCouture is producing notable NFL Draft buzz, and so is junior Davon Godchaux. Godchaux isn't flashy, but he will be looked at as a Glenn Dorsey-type that could plug gaps and get after the QB on occasion. Godchaux had 41 tackles last season, and also showed exceptional athleticism, with six sacks. The final returner to the starting group is senior Lewis Neal, who should be in store for a solid '16. Neal is another guy that isn't flashy, but gets by with great instincts and grit. Neal was LSU's most consistent pass rusher last season, with eight sacks. Those three should give Arranda plenty to work with, and the unit has enough depth that rotations can be regular and LSU will play with variety. That depth includes some great talents like junior Frank Herron (23 tackles a year ago) and junior Deondre Clark. Miles and staff also hauled in a good crop of newcomers that should produce right away and in the long run. Defensive linemen Rashard Lawrence is among the most talented in the 2016 class, ranked in the Top 5 by almost every recruiting service. Lawrence is a player coming from Monroe, who LSU did a great job keeping from plenty of other SEC programs. He could help out right away at the defensive end position. Edwin Alexander is another newcomer that should do big things immediately. Alexander is another prospect picked up in the state, who has good versatility. He'll give Gochaux plenty of help at the nose guard spot. Linebackers: Arranda will also look to his linebackers to play great in run support and also blitz off the edge. He has some proven talent, in senior Kendall Beckwith, while also some unproven guys with a ton of raw talent such as sophomore Arden Key. Beckwith was second on LSU in tackles last season, and was another guy that flirted with the pros. He opted to stay and should improve on his 84 tackles and 6.5 tackles for loss. At an inside linebacker spot, he should see plenty of action in the run-heavy SEC West. Although he is just a sophomore, Key is already attracting some NFL buzz. Key was a highly touted prospect who had 41 tackles and five sacks in '15, despite playing rather limited time. At 6'6", 245 pounds Key could play the Barkevious Mingo role for LSU. Mingo was a fearless pass rusher whose goal was to simply disrupt offenses. With Neal and LaCouture occupying blockers, Key could make a living making plays off the edge. The outside 'backer spot taken up opposite him will most likely fall to senior Tashawn Bower. Bower was a reserve last season and still managed 3.5 tackles for loss, so he knows how to hang in physical SEC football. The other starter in LSU's 3-4 set should be senior Duke Riley. Riley could complement Beckwith very well; Beckwith gets by on athleticism and speed, while Riley is a powerful playmaker. Combined the unit may undergo some slight adjustment with two new starters, but both have seen plenty of action and the fit should work very well. Reserves should still play an important role, and the Tigers have plenty of guys that may not start but should make quite the impact. Junior Donnie Alexander is going to battle for snaps at inside linebacker, while junior Sione Teuhema has untapped potential. Young freshmen Michael Divinity and Rahssan Thornton are going to also help out. Divinity should be especially important helping out at inside linebacker as a very talented four-star prospect. Secondary: Some people have called LSU "DBU", or Defensive Back University. It makes sense with what their defensive backfield has produced over the years. Tyrann Mathieu, Eric Reid, Morris Claiborne and Patrick Peterson have all passed through the ranks in the Miles era, and some believe LSU has guys who could be just as good. Ball-hawking safety Jamal Adams is a major reason for the hype, and he can back it up. Adams had 67 tackles and four interceptions in '15, using his wide and athletic frame to make plays all over the field. Adams should once more be making plays all over the field this season, and Arranda will be creative with his talent. The Tigers are absolutely stacked at cornerback, headed by senior Tre'Davious White. White was yet another who Miles managed to keep away from the NFL, despite serious buzz. White continues to be inconsistent at times, but could be very good in his senior season. He had 44 tackles and seven pass breakups a season ago, and could very well be the Tigers' No. 1 corner this year. Expect big things from sophomore Kevin Toliver as well. Toliver was a big name in the 2015 Class, and 35 tackles and two tackles for loss in his true freshman campaign, earning him Freshman All-American honors. Toliver is a typical lengthy, well-rounded LSU defensive back, and he should be even better in 2016, with another valuable year of SEC experience under his belt. LSU's starting lineup in the secondary is rounded up by yet another veteran presence, free safety Rickey Jefferson. Jefferson is a quality football player, possessing decent ball skills and great speed to the ball. Combined with Adams, LSU has two playmakers that showcase incredible range and won't let anything past them. LSU is also expecting big things from defensive back Saivion Smith, a big name in the recruiting ranks. Smith is a talent from Florida who is ranked as five-star newcomer by some recruiting services. While it may be hard to supplant White and/or Toliver unless injury occurs, Smith could find his niche in the LSU defense. Senior Dwayne Thomas and junior John Battle should also produce as reserves. Thomas is vastly underrated, as the safety recorded six pass deflections last year. Special Teams: Les Miles takes great pride in his special teams, and the unit should be solid in 2016. Senior Trent Domingue is back for the kicker spot, but will have to work on consistency after hitting 13 of 17 last year. Punter is a question after the wonderful Jamie Keehn (40.7 average) graduated, leaving redshirt Josh Growden as the likely replacement. It is the same story it has been in LSU for the past four seasons. The talent is rich on both sides of the ball; the defensive line has great upside and the secondary may be the stingiest in the SEC (even better than Alabama or Florida). Pair that with the return of Fournette, possibly the best player in the entire nation, and the Tigers have what it takes to fight for College Football Playoff berth. However, the same issues loom. The passing game is still a work in progress, and if Harris doesn't take big leaps, the Tigers won't get over the top. The schedule is also extremely difficult with a non-conference date against Wisconsin in Green Bay, and the usual brutal SEC slate (Auburn, Florida included on the road). Will we get the talented, improved Tigers who could be the best team since '11? Or will we get last year's edition; a team that has talent but can't put it together and was unable to get past Alabama? Time will tell, but the Tigers will surely be interesting to watch this season.